its hot here too — thanks for the inspiration! Perfect for a nice summer meal! Creating simple yet delicious dishes for shabbat is also a challenge of mine. I’m thinking, thanks to you, I’ve just added something to my shabbat menu board. Thanks Hindy! I was just talking with my kids about how much I love rice noodles. Thanks! 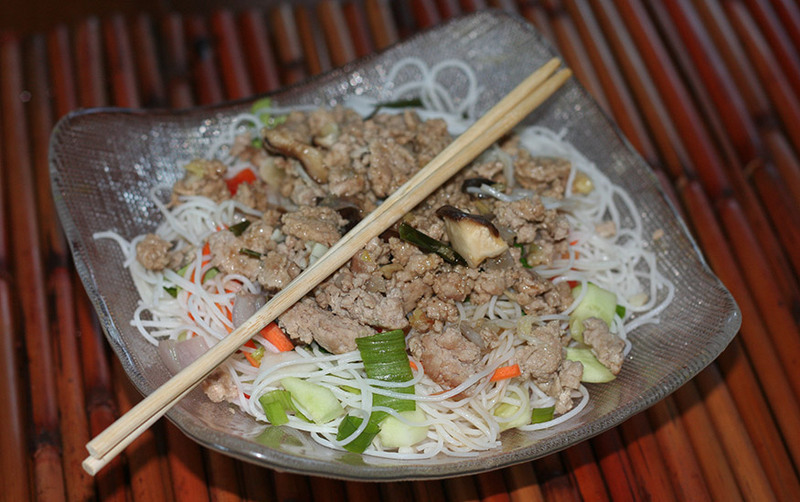 I am loving the match up – turkey and rice noodles! You go!